New practitioners and seasoned yogis alike have all struggled, at one point or another, with Virabhadrasana II, known by most as Warrior II. This dynamic pose challenges multiple body systems; and it requires muscular endurance and strength, balance and stability, proper alignment, and mindful awareness to get the greatest benefit and prevent injury. On the flip side, it cultivates a sense of solidarity, confidence, and courage to be the badass warrior we are inside. There are three major areas of anatomical focus that are of the utmost importance in Warrior II. 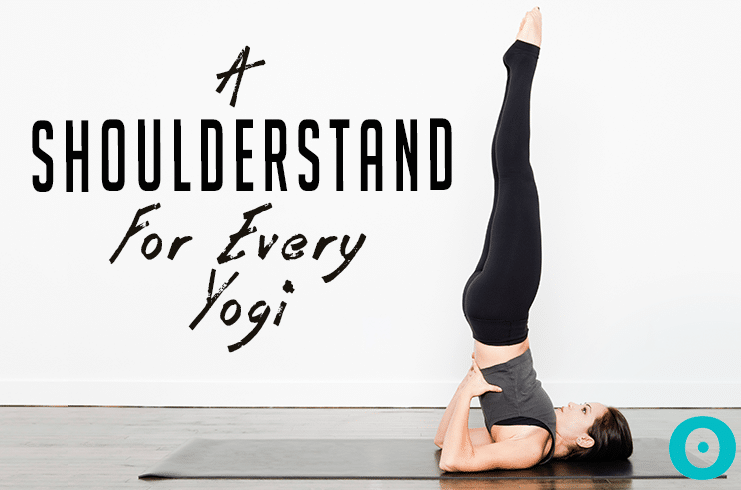 The base of support (BOS) is key to building any yoga posture. Without a solid foundation, the pose loses its integrity, and the practitioner’s focus fades into a struggle to find stability and stillness. The feet are the most important component to any standing yoga pose. Proper cueing of the feet enables the practitioner to feel deeply grounded and connected with the floor, offering a direct sense of stability before they move further into the actual pose. As you stand, begin to feel the sensation of your body weight sinking into both feet. Feel equal, balanced pressure along the pads of the forefeet, outer edges of the feet, and center of the heels. Press the feet down while lifting the arches, and feel a deep connection into the earth through the mounds of the big toe, little toe, and center of the heel. Lift the toes, spread them apart, and then root them down into the mat one at a time—from baby toe to big toe. Most yogis will agree the hips are the most problematic area of the body during asana (physical posture) practice. Muscular tightness and limited range of motion (ROM) in the joints inhibit the depth a practitioner can reach in each pose. Many struggle to externally rotate the femur, open the hip, and deepen the lunge to stack the knee (i.e., femur over tibia) without feeling pressure in the joint or a sensation of falling forward. Preparatory poses to open the hips are immensely helpful, as they encourage an “unlocking” of the muscles and supportive structures surrounding the joint. This increases external rotation by allowing the ball-and-socket joint to roll and glide smoothly. The practitioner can then place the foot and ankle in a safer position while deepening the lunge. The combination of muscle actions in the gluteals, hamstring group of the front leg, and iliopsoas connection of the back leg will allow a deeper, supported opening in the pelvis, while improving stability in the Warrior II stance. Bound Angle pose (Baddha Konasana) – This pose encourages relaxation of the adductor muscles that run along the inner border of the thighs—a chronic area of tightness that limits a deeper opening of the hips. Extended Triangle (Utthita Trikonasana) – From a biomechanical perspective, Extended Triangle creates a smooth transition into Warrior II, as a result of the forward positioning of the pelvis. The pose gradually deepens external rotation and flexion in the hip, as the knee begins to flex and position into a supporting lunge for Warrior II. Tree pose (Vrksasana) – Tree pose builds and balances neuromuscular connections from the brain to the muscles, providing a greater sense of stability as you ground down through a single leg. Placing the free foot onto the inner thigh of the standing leg deepens the opening of the inner hip joint and adductor muscle group. It also strengthens the external rotator and hip flexor muscle groups in a non-weight-bearing position. This allows the hips to develop greater joint stability and strength in the standing leg, as well as greater joint play and exploration in the lifted leg. Opening the chest and shoulders with ease is another problematic task for many yoga practitioners. Our modern, sedentary lifestyle can promote poor posture and rounded shoulders, which cause the chest cavity to collapse and shift forward. The common ways we position our bodies—while driving, eating, or working at a desk—wreak havoc on the spine and its supporting structures. 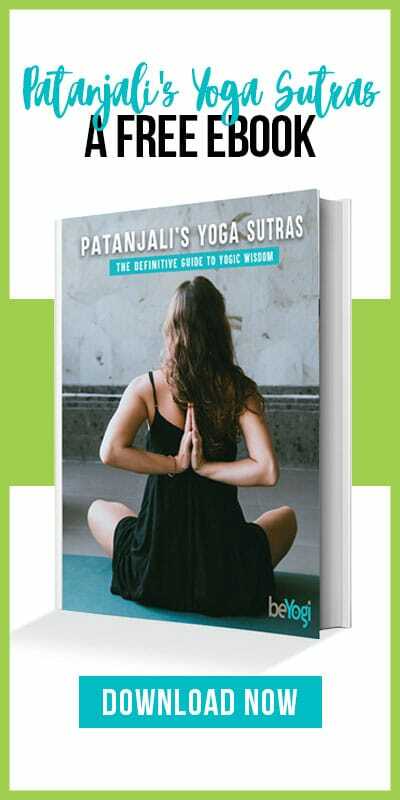 It consequently takes greater effort to balance these effects through the practice of yoga. Warrior II opens the entire thoracic cavity by unweighting the shoulders, drawing the arms away from the body, and releasing the pectoral and intercostal muscle groups. This creates space within the chest cavity for a fuller breath, while strengthening the mid-back musculature to support the upper torso. As we inhale in this posture, we activate the accessory muscles of breathing. The sternocleidomastoid (SCM) muscle, located along each anterior side of the throat, activates and elevates the sternum, as your gaze draws forward over your front hand. The scalene group and pectoralis minor also activate to lift the upper ribs. The quadratus lumborum—located between the posterior aspect of the floating ribs and the posterior border of the pelvis—draws the lower posterior ribcage down toward the tailbone, lifting the front of the chest. The abdominals simultaneously draw the front ribs downward to reduce hyperextension of the middle and lower spine. In drawing the shoulders blades slightly together and pressing them down toward the tailbone, we contract the rhomboids and lower trapezius to further open the chest and stabilize the mid-thoracic spine. 1. Press through the heel of your front foot while grounding through the outer edge of your back foot. Encourage your students to feel connected and grounded to the mat, promoting a solid foundation to build the posture from. Grounding down strengthens the arches of the feet and peroneals, and stabilizes the ankles. Pressing through the heel of the front leg co-activates the gluteal muscles, hamstrings, and quadriceps to create a bandha (bind) of the femur, and stabilizes the knee and hip. 2. Spiral your front thigh outward and press through your back heel. 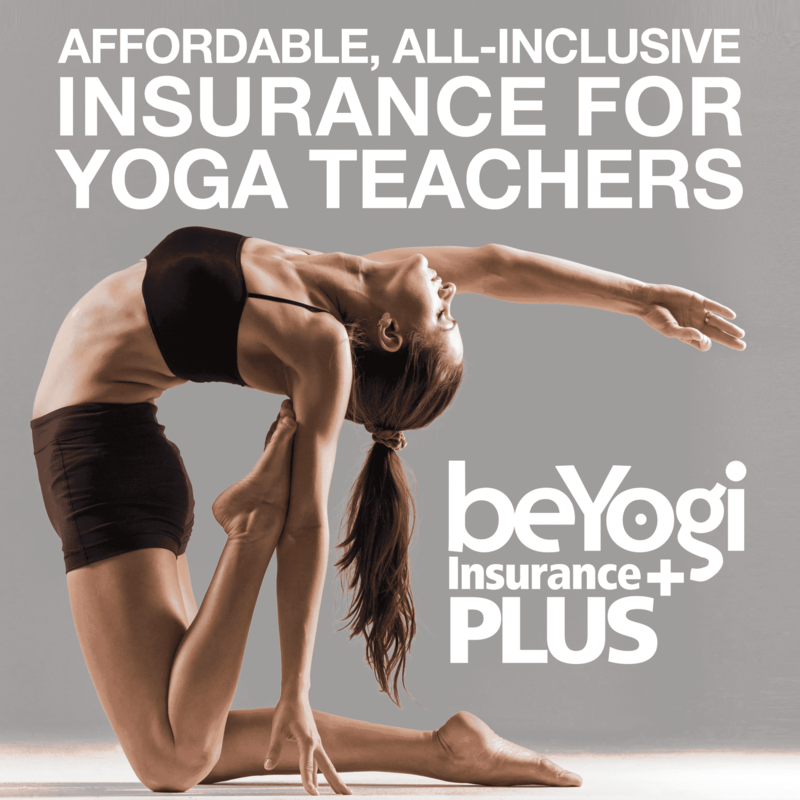 As yoga teachers, we want to ensure our students move at the most mobile joint first to prevent injury. We may prompt them to move at the shoulders or hips, for example, as both joints have greater ROM than the elbows or knees. This cue draws awareness to the hip, allowing it to open and be supported by the external rotator muscle group—specifically, the piriformis. Pressing through the back heel stabilizes the back hip and promotes a deeper opening of the pelvic space. 3. 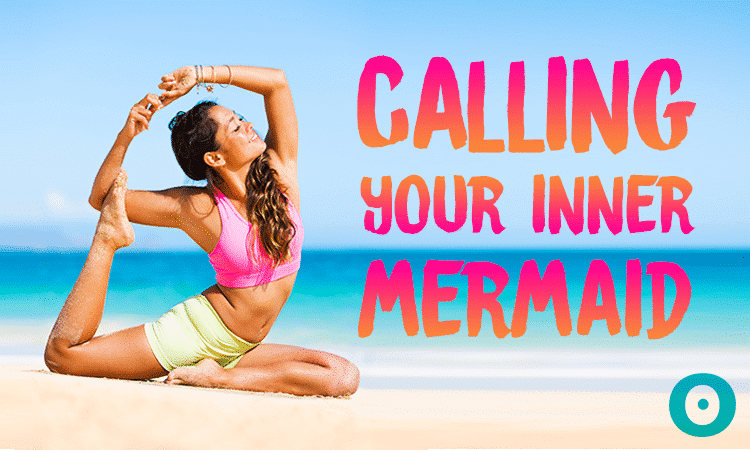 Draw your tailbone down and sweep your inner pelvis in and up. Encourage your students to place the lower spine in a neutral, safe position while improving overall balance and postural stability. Stabilizing and strengthening the pelvic floor has numerous benefits on the spine and pelvic organs. 4. Lift your ribcage up, away from the hips, and reach through the fingertips while lifting your arms. This activates the transverse abdominus (corset muscles) and accessory muscles of breathing to open the chest, allowing for a full diaphragmatic breath to enter and expand into the deepest spaces of the lungs. The shoulders become stable and strong, promoting a deep sense of readiness and power. 5. Press your palms toward the floor and send your gaze out over your front hand. By pressing the palms down, we activate the latissimus dorsi muscles—located beneath the armpits and wrapping along the sides and back of the ribcage—to further open the chest and stabilize the shoulder joints and scapulae. Pectoralis minor is simultaneously activated to lift heart center (sternum) upward. This relaxes the shoulders away from the ears to create space and ease tension in the neck. To make sure the shoulders are positioned correctly, turn the palms to face up and notice how the shoulder blades relax down the back. Then flip the palms over solely at the wrist level. This externally rotates the shoulder joints to draw the shoulder blades down while maintaining the integrity of the pose.